Meanwhile… we’ve actually been playing games. Each week we recap our recent gaming experiences and tell you what we’re looking forward to, so you can use your time more wisely than we have. Alex joins us this week and busts out his CDi, who the hell has one of those? Cole and the Justins go further back in time to solve crimes in their own way, while Ethan continues to play not-Minecrafts. Ezio is back in our lives. I dove off the top of a tall building into a pile of hay last week and got back into Assassin’s Creed II. I picked up AC: Brotherhood for the Horrible Game Night Monday and decided that I needed to finish the second one before I played any of Brotherhood’s storyline. I looked at the date when I last played and it was in early September. It was time to finish Assassin’s Creed II and move on to something else. On the same day I bought AC: Brotherhood, I purchased Crysis 2 because both were cheap at the local independent video game shop. 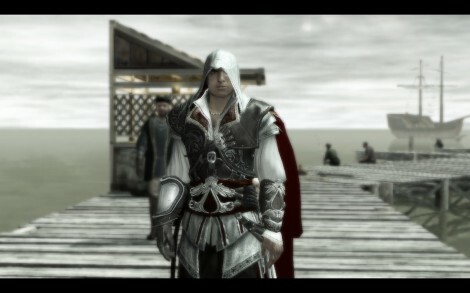 I hope to get some time with that this week, but like I said my first priority is finishing Ezio’s first story. How's the uncanny valley with that shiny tech? Because I am a manly man, I gamed AND went outside to do manly things like chop down trees and pick wildflowers. Although I did find time to clean and oil my hand saws on Sunday, all of my other indoor-time has been consumed by L.A. Noire. I’ll have a review up soon, but if you’re debating on whether to play it…stop. It’s awesome. Although it’s only May, it’s a GoTY Grimmy Nominee as far as I’m concerned (and yes, I’m aware of the other AAA titles coming out this year, thank you very much). On top of that, I downloaded Section 8: Prejudice, Gatling Gears and Risk: Factions but haven’t had time to open any of them. I’m too busy solving crimes in 1947 LA in between running in my Vibram FiveFingers and engaging in one of my OTHER favorite activities, Drinking Outside With Friends. Oh, and one final note: for our out-of-state & international readers, if we seem a little bit crazier than normal this week, it’s because Indianapolis plays host to the largest single-day sporting event in the world this weekend, the 100th running of the Indianapolis 500. It’s as if the entire population of the city of Seattle, Washington suddenly decided to show up in Indianapolis for a weekend. The SAME weekend. I’ve been kicking it old school in more ways than one with my gaming habits as of late. First, I busted out the Philips CD-i I found in my parents attic last weekend and started playing an Alice in Wonderland game I had for it. 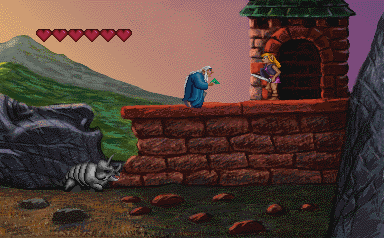 The interesting thing about this game is that it was fully voiced over, and came out in 1992 which is totally crazy! The system itself has on-board memory for save states since the games are on cds (no memory cards needed here!). Finally, Zelda gets her shot! Lastly I’ve been busy leading a merry band of adventurers in Lord of Ultima while watching my wife solve crime in L.A. Noire. The Horrible Nights guild is up to 15 people and going strong. Having gone from never having played an MMORTS to leading an alliance, I have to say I’m having a blast! Expect an article on my trials and tribulation of leadership training forthwith. 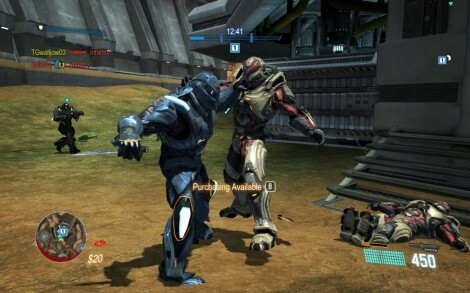 The choke punch is a good way to solve civil problems. I’ve been completely entrenched in the world of Terraria and have not looked back, despite finally acquiring Singularity (a game I was very curious about). You can read my review for more details about the game, but it’s safe to say that I will be deep in that for quite some time. It’s amazing how a lowish tech game can steal the thunder from everyone else, but I think gameplay has spoken so loudly so me as of late after being exposed to all the endless Steam Sales and a ton of different games. I played a bit more Section 8: Prejudice in order to practice, but have decided that my FPS skills will never get any better. You must have to be born into solid first person shooting, but despite not having the skills I am having some fun and look forward to climbing my way through more multiplayer matches. 2D Minecraft, and addiction that keeps addicting. 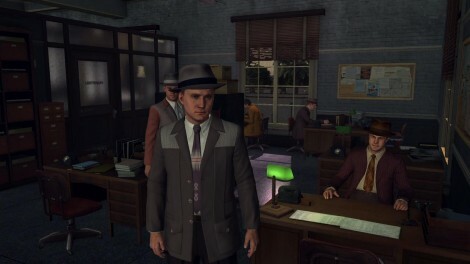 If there was game time to be had last week, it was going toward L.A. Noire. What can I say, that game is exactly what I wanted it to be and an amazing experience to play. The pacing is fantastic, I love everything about the cases from finding the clues to interrogating criminals. I get a big kick out of going into each case and wondering which actor’s face I’m going to recognize next, these folks deserve some awards. Oh ya, and the tech is incredible, too. I have my gripes about the game, but I’m not gonna let it hold me down right now, I’m just enjoying the fact that this game is real. 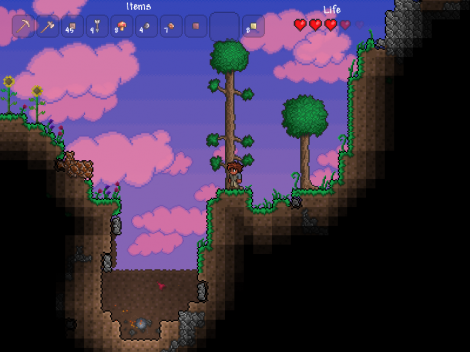 I did take a small break from the crime scenes and downloaded Terraria. Seemed like a much more bite-sized alternative to Minecraft. Nope. It’s just as big of a timesink threat. I love the game, but doubt I ever spend serious time with it out of fear of losing months of my life. The game literally paralyzes me with its options to build and dig. I don’t even know where to start, so I won’t. But I’m glad I bought it. Is that weird? This week is gonna be a bit crazy as I’m heading out for a family reunion this weekend. After our Horrible Game Night and some prejudicial assassinating, I’m sure I will just get back to solving a few crimes here and there. I need to see L.A. Noire through, but I have a feeling Assassin’s Creed II will be yelling at me to finish it after our multiplayer action is over. Cole Monroe - A collaborative or community related article put together by Colefacekilla.